Recent years have seen a significant spike in the number of lawsuits filed against food and drink manufacturers alleging misleading labeling. These suits generally charge that the labels at issue fail to accurately represent ingredients, make unsupported claims about the health benefits or safety of products or otherwise distort the products' true characteristics. While there has been a significant amount of national reporting on these lawsuits, the purpose of this article is to share some best practices, drawn from years of experience in food litigation, that could help your company avoid the cost, hassle and negative publicity of a labeling lawsuit. By way of a primer, a class action lawsuit is one in which a "lead" plaintiff sues on behalf of all other persons "similarly situated" — for example, everyone who purchased a given energy drink during a specified period of time. Lawsuits usually are filed under state consumer protection laws, which vary slightly from one jurisdiction to the next but typically prohibit misleading labeling and advertising. If a class action suit goes forward, it can expose a company to major costs — the expense of defending the suit alone can be very high, not to mention the potential for large losses in the event of a bad outcome. 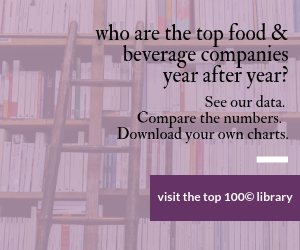 Several recent cases involving popular energy drinks illustrate the bind companies can find themselves in and offer some lessons for savvy professionals in the food and drink industry. The first involves Red Bull, the drink that claims to "give you wings." A putative class action has been filed against the company, alleging that despite its marketing suggestions, the drink offers no benefits beyond those one could reasonably expect from drinking coffee. At the opposite end of the spectrum, Monster Energy has been named in a suit alleging that its energy drinks contain a dangerously high amount of caffeine, despite being marketed as "safe" in advertisements targeting young people. David T. Biderman is a partner in law firm Perkins Coie's San Francisco and Los Angeles offices and often defends food and beverage companies whose nutritional or health claims have been challenged. Michael S. Young is an associate with the firm's Commercial Litigation practice based in San Francisco. They can be reached at DBiderman@perkinscoie.com and MSYoung@perkinscoie.com. Exercise utmost care in designing your labeling. Many potential sources of liability for labeling can be nipped in the bud simply by thinking strategically about the consequences. A best practice is to have all of your labeling reviewed by an attorney experienced in matters affecting the food and drink industries. Compared with the costs of defending a class action, legal review is truly a worthwhile investment. Comply with FDA regulations. In addition to being subject to state consumer protection laws, the content of labeling is subject to regulation by the FDA. In many cases, compliance with FDA regulations is a defense to suits based on allegedly misleading product labels. Here also, the assistance of an attorney familiar with the legal landscape is highly recommended. Avoid exaggeration. This tip ought to be self-evident, but unfortunately many companies fall into the trap of making claims that unnecessarily expose them to risk. It is tempting to make lofty claims — after all, you should be a vociferous advocate for your product — but make sure you can back up what you say. Avoid numerical claims. Numerical claims often get companies into trouble because, unlike claims that are more qualitative in nature, quantitative assertions about a product can be scrutinized with far greater precision and can result, rightly or wrongly, in costly litigation. Make sure there is a scientific basis for your claims. Currently, the Federal Trade Commission requires "competent, reliable scientific evidence" in support of any product claim relating to health or ecological benefits. What constitutes "competent, reliable" evidence, however, remains a moving target. The FTC recently required POM Wonderful to substantiate its heart-health claims with two randomized, double-blind clinical trials, but it has required far less in other cases. While it may be difficult to determine exactly how much scientific evidence is needed to support your claim, you can reduce your risks by always ensuring that there is a firm basis for any claim relating to your product's benefits. There is, of course, no guarantee that you will never be sued. No matter how vigilant a company is, it may wind up being targeted. Nonetheless, you can certainly improve your odds of staying out of court by following these tips and by keeping up to date with developments in the law. For advice custom-tailored to your company and its products, contact an attorney and ask for guidance on limiting your company's potential exposure to class action lawsuits.